ABC's Family Food Fight Casting Call! Food fight! Make that Family Food Fight! The nationwide search for families for ABC's new culinary competition series is on. Prep your oven mitts and set your timers. ABC's Family Food Fight is on a search for the most food-savvy families in the country! Don't miss out on the opportunity for your family to serve up some delicious dishes and crazy competition. There are 3 ways to apply: Attend our Chicago casting call on August 11, Attend our NYC casting call on August 18, or apply online at familyfoodfightcasting.com. Chicago, Illinois: Saturday, August 11, 2018 - 12 p.m. – 4 p.m.
New York, New York: Saturday, August 18, 2018 - 12 p.m. – 4 p.m. 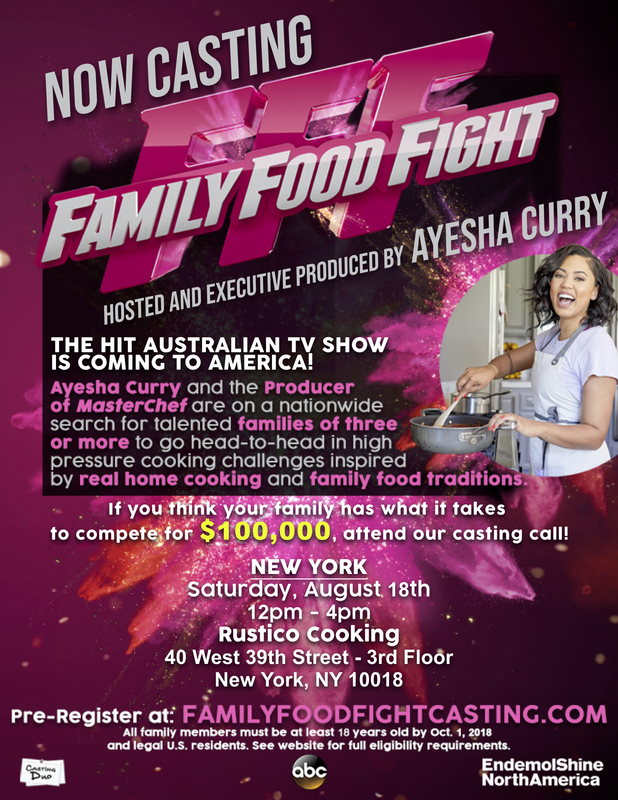 Yes, our casting team will be searching for families of 3 or more for Family Food Fight, our new show hosted by Ayesha Curry! If your family wants a chance to go head-to-head in high pressure cooking challenges and win $100,000 then pre-register at familyfoodfightcasting.com now! Families must fill out the pre-registration paperwork in advance of the open call. We strongly encourage all family members to attend open call auditions; however, if somebody is unavailable, please refer to the official casting site for instructions. Don't forget to bring your signature dish! 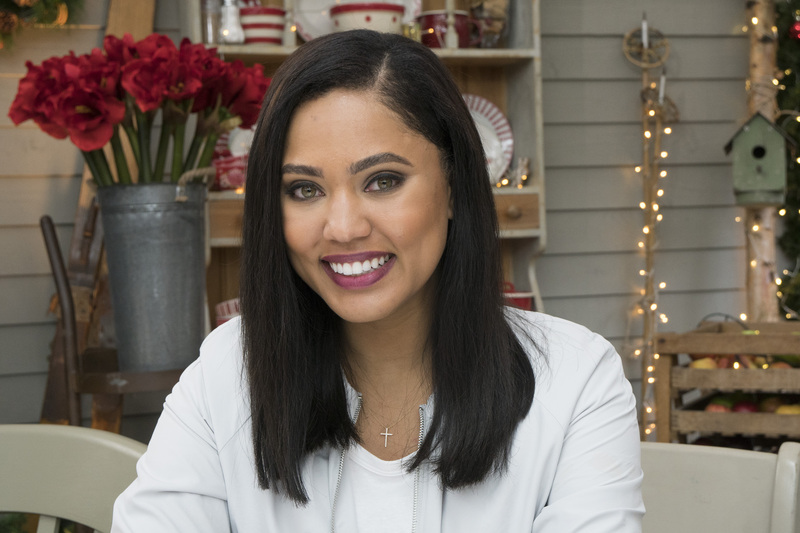 About Family Food Fight: Based on Australia's hit format and hosted by restaurateur, food maven and New York Times best-selling cookbook author Ayesha Curry, Family Food Fight will feature eight families from across the country sharing a common kitchen and a common goal: to claim the title of America's No. 1 Food Family and take home a $100,000 cash prize. Family teams will pull out their best culinary moves in the kitchen, serving up authentic family dishes and drama. Tapping into each family's uniquely diverse cultural heritage, along with their countless culinary influences, Family Food Fight will take home-style cooking to a new level as family recipes rich in tradition and shared over generations are put on display.